In Aug, our company organized an in-house User Experience (UX) training which introduced what UX is about and allowed me to learn some useful skills on conducting User research interviews and paper prototyping, etc. As I have a strong interest in topics relating to customer experiences, I found UX a fascinating topic which opened my eyes in learning how to improve customer/user experience through scientific approaches. I also began to realize that some experiences that I used to deem as merely “thoughtful” or “sensitive” to customers were actually purposely designed to be “intuitive” to customers. These experiences were carefully designed through understanding customers’ mental model, expectations and then putting in place internal practices to match it. 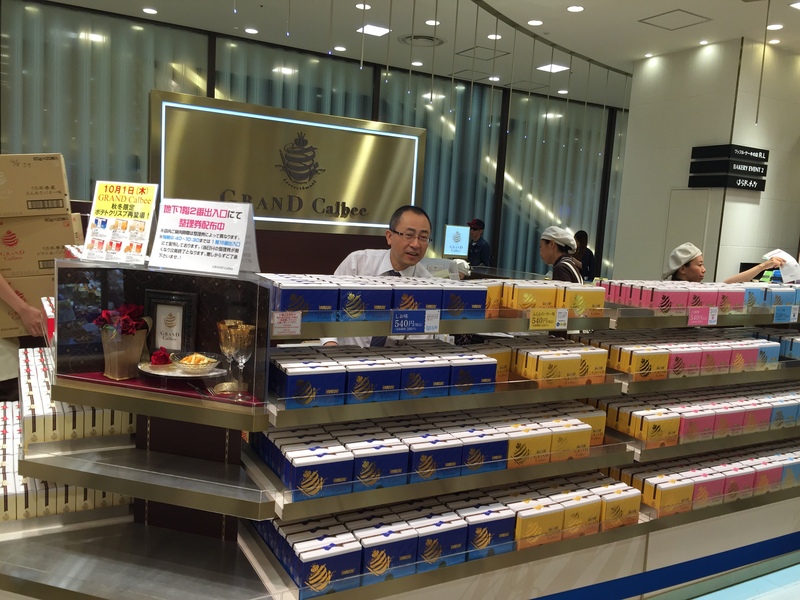 When talking about good customer experiences, once again, Japan comes to mind. I realized most of pleasant and unforgettable customer experiences I had in Japan are mostly created through UX research and designs. Who enjoys queuing? I bet not many, because people generally do not like waiting. 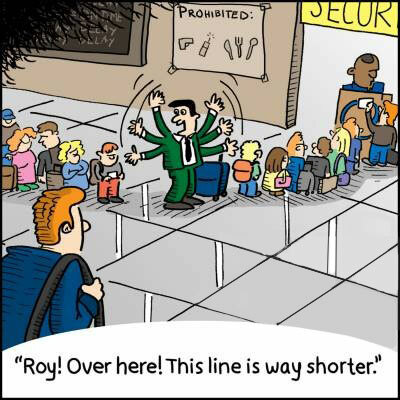 So how can we turn queuing into a pleasant experience? I encountered one example in my recent trip to Japan. It is about queuing for Calbee french fries (snacks) at the food floor in the basement of a Department store. At first, we were given a ticket which shows a time slot of when to come back (13.00- 13.30) and 29 is the queue number. We returned to the queuing point at 13.15pm, the sales rep put us inside the queue in the order of the queue number, 29 in the group of 1-1.30pm. There is a kanban board in the front showing sales status in each product (in this case, they categorized according to different flavour of fries). For example, there was one product that was sold out so it had a red label next to it to avoid customers’ disappointment. Before we were guided into the store, a sales rep briefs the group about product information. Although I usually find queuing is time wasting, I felt this experience was actually quite fun which I like to conclude to two points: 1. Managing Customer’s Expectation (it told me what time to come back) and 2. The sales process provides transparent human interaction (it provides sales status information for any product being sold out). I learnt from our UX trainer, Raven Chai that “in all types of human experience, emotion is the main trigger point for us to feel good, happy, sad or excited. Such emotions are based on our world views and/or state of mind during the interaction experience”. Having predictability is an essential component of an experience as it creates a positive psychological impact on customers, and customers feel a sense of control and confidence when they are given information about what to expect in an interaction. In this event, the store provides me (the customer) a predictable outcome by preparing me on how long I will need to wait, and what is available before my purchase touch point. It gives me a foundation to manage my own expectations, and idea that I am in control of my own actions (to leave, or wait within the queue). Contrarily, a lack of predictability has negative impact on customer’s experience (imagine how disappointed I would feel if I only realized the item I wish to buy is sold out at purchase point after queuing for a long time). The entire sales process also shows a positive value of being honest about the time needed and available stock upfront without the fear of losing customers through providing transparent human interactions. The store is honest and upfront that certain stock is no longer available so that customers can make informed choices either not to waste time and leave, or queue to buy other products – the thought process is from the customer’s point of view and reflects the store’s willingness to ‘lose’ sales if customers decided to leave. However, we humans are emotional creatures. By exhibiting honesty as their value to customers, it will create a long lasting loyalty because consumers feel good about it, talk about it, and share the story (like I do now), which in turns create a more powerful positive image to their brand. Applying the concept of providing transparent human interactions to our interview process, we looked into improving the “waiting experience” before interviewers coming into an interview room. During the waiting period, our HR personnel briefs the candidates about the interview process (what does each interview round entail, the focus in each interview rounds, expected time to be contacted if they are shortlisted, etc) instead of waiting for candidates to ask. This allows candidates to feel less anxious and more prepared as the candidate can expect when and what the next interaction will occur. Also, candidates can make informed decision either to proceed with entire interview process or accept another company’s job offer after he/she has learned about the interview processing time. This entry was posted in Titansoft Culture and tagged Customer Experience, User Experience, UX on October 28, 2015 by Jas.